Kangaroo for kids: What is a kangaroo? Where do kangaroos live? Is a kangaroo a mammal? What is a baby kangaroo called? What is the top speed of a kangaroo? 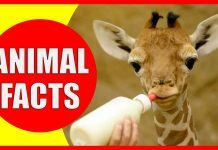 Let us learn about some interesting kangaroo facts. 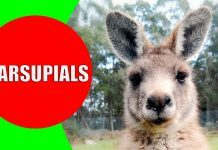 This educational video for kids will help your children learn about kangaroos as well as showing some interesting facts about kangaroos for kids. We also included kangaroo sounds, high-quality kangaroo videos, HD footage of a red kangaroo, kangaroos fighting, a baby kangaroo, a male kangaroo and a female kangaroo. Kangaroos are very interesting animals. They are marsupials. A kangaroo baby is carried in the pouch of his mother. You will probably see a kangaroo in Australia or a zoo. This video will help your kids to learn about kangaroos and some interesting kangaroo facts. We have compiled high-quality kangaroo videos with kangaroo sounds. 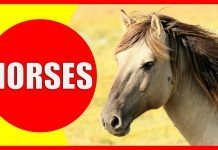 Our video is a good choice to teach kangaroos for kids at kindergarten or preschool age. Kangaroos live in Australia, New Guinea, and Tasmania. Kangaroos live around six years in the wild. 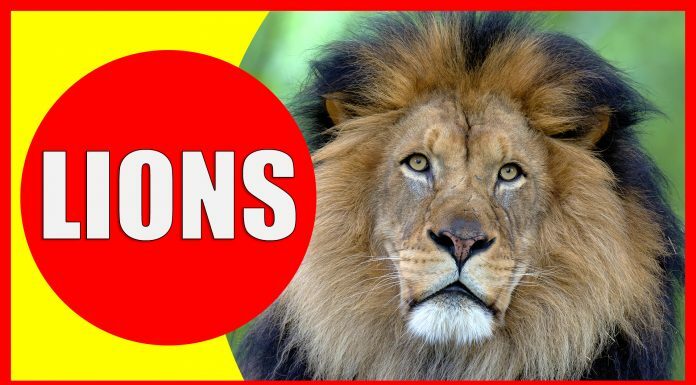 They live up to twenty years in captivity. Kangaroos are marsupial animals. Marsupial animals are mammals that carry their babies in a pouch. What is a female kangaroo called? What is the top speed of a kangaroo? Kangaroos can travel up to 40 miles per hour (60km/h). A red kangaroo can jump to 10 feet high (3 meters). A red kangaroo can leap up as far as 25 feet (8 meters). Yes, they can swim very well. What is the current kangaroo population? More kangaroos live in Australia than people. The estimated population of kangaroos is around 50 to 60 million. There are four types of kangaroos: the red kangaroo, eastern grey kangaroo, western grey kangaroo and antilopine kangaroo. The red kangaroo is the largest kangaroo species. Kangaroos eat grasses, leaves, and other vegetation. They also eat fruits and flowers. Kangaroos usually eat during the night. They spend the day resting in the shade. Kangaroos can grow to 10 feet (3 meters) tall. They can weigh up to 200 pounds (90 kilograms). Kangaroos have large feet and a strong tail. As a result, they can jump very high. Kangaroos love sports. Kangaroos can swim. They run, jump and box. A kangaroo moves by hopping around on its two legs quickly. During a fight, they can push each other, box, kick and even bite.